I have recently been placed under severe attack by members of my Church who “have read about Freemasonry” and who have accused me of bringing Freemason’s demons into the Church, but yet never had the courage to come and speak to me face to face. Therefore, after prayerful thought I decided to respond to the slanderous attack on my, and Freemasonry’s, good name and integrity. i. Was I, personally, so out of tune with my fellow Christians that I could find no justification for such attacks on Freemasonry? By continuing in the Order, was I being unfaithful to my ordination vows? You will understand that both these questions had to be faced before I could start with my response. It is not good for any man to have divided loyalties, and to have any doubts about his attachment to any organization, being secular or church. This is my humble aim as I present myself firstly to my Lord and Saviour Jesus Christ who with the Father and Holy Spirit is One God. In this paper I deal with my response as a Christian to some of the accusations contained in my detractor’s attack on me and Freemasonry. My detractors inferred that Freemasonry is a “Cult”. One of the basic requirements to be classified a “Cult”, is that an organization must be a religion, i.e. the activities that are connected with a particular system of faith and worship. One of the biggest misconceptions about Freemasonry is that it is a religion, which it is not. •	Freemasons do not claim to be a religion nor is it a substitute for religion. •	The organization has no dogma or central theology. •	There is no institutionalized system of worship. •	It does not offer its members a “path of salvation”. Members are, however, pointed to the “straight and undeviating line of conduct laid down for our pursuit” in the Volume of the Sacred Law (VSL), as in our case the Bible, and are encouraged to be active in whatever religion or church they belong to in their individual search for the “path of salvation” and discipleship. First, Freemasonry requires of all its members to firstly profess a belief in a Supreme Being and the immortality of the soul. Atheists or Agnostics are therefore not accepted. Secondly, this is an organization comprised of believers. When it started on a formal basis in 1717, many historians believe that it was trying to bridge the gap between the religious civil wars that had been going on in England at the time. The Catholics would get in power and beat up the Protestants; the Protestants would get in power and beat up the Catholics; and everyone was beating up the Jews. So when Freemasonry was formally formed, they said: “Here’s a group of men that agree that God is central in their lives, they can even agree that God compels them to do good in the community". With that common understanding that here are men who already believe, there was no need to discuss the details of their individual faith at all. That was a radical concept for that and our own times – that men could get together and agree on that fundamental level, and then get on with their lives. Thirdly, aligned to the previous point, although Freemasonry is religious, it does not produce or induce faith: it expects its members to be men of faith professing faith in God according to their own personal faith and the understanding of their religion before they join the organization. A member does not receive faith after joining. With that common denominator all members enter the organization on the level with each other. Discussion of religion and politics is strictly forbidden. Fourthly, many say that the fact that God is addressed in Freemasonry as the “Architect and Creator of the Universe” indicates that Freemasons have another “god” - which makes it a religion. This is not true. God has revealed Himself in Scripture under many Names e.g. When Christians refer to God, using one of those Names, they do so acknowledging the characteristic of God in and for that situation – this does not imply that we as Christians (or Freemasons for that matter) are praying to another god or gods. Freemasons use the allegory of building to teach its members morals and it stands to reason that it will, within that situation, refer to God as the Architect and Creator/Builder of the Universe (Heb 11:10). As a Christian Minister, I personally believe in the Trinitarian God: Father, Son and Holy Spirit and that Jesus is the only way to salvation. This is the common ground for members of the various other Masonic organizations that I am a member of, i.e. 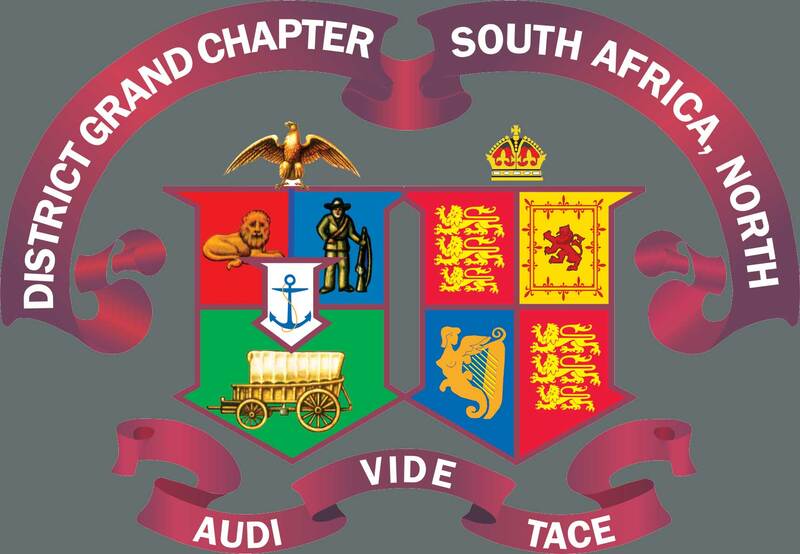 the Royal Order of Scotland, Red Cross of Constantine, Rose Croix and Knights Templar. Denomination is not a factor. Fifthly, Freemasonry requires of all its members to believe that God has revealed Himself, His will and purpose in the Volume of the Sacred Law as the Holy Bible is reverently known. When speculative Freemasonry originated in the eighteenth century most of its members were Christian and as such the Holy Bible, mainly the Authorized Version as we know it, is open in all meetings (there is no Masonic version of the Bible as some suspect). As a Christian Minister I believe that “All Scripture is God-breathed and is useful for teaching, rebuking, correcting and training of the righteous so that the man of God may be thoroughly equipped for every good work.” (2 Tim. 3:16-17). I preach the gospel of Jesus at ALL times and my sermons and Bible studies are available to test whether that is true. With respect I do not think that this makes Freemasonry a religion as little as it makes meetings of a Government or school assemblies or Round Table meetings a religion, when they are opened with a prayer. I do not find this in conflict with my Christian witness and beliefs and am grateful that an organization I belong to, still hold this as important in our modern world where this is often frowned upon. Lastly, the three principles on which the organization is founded are also religious, namely Brotherly Love, Relief and Truth. Principles true to the teachings of Jesus in the Sermon on the Mount and which every Christian should aspire to. I am aware that there may have been certain so-called Masonic bodies in the past, which did not acknowledge God as I described above. I understand that such bodies, such as the Bavarian Illuminati and the Grand Orient of France are not accepted by mainstream Freemasonry and I am at a loss at what they really stood for. They have no doubt damaged the image of Freemasonry. I renounce all such “freemasonry” and will have nothing to do with it! There was also a fellow called Leo Taxil, who wrote a book in 1889 in which he invented a completely fictitious and super-secret order of Freemasonry called the “Palladium” which supposedly conducted sexual orgies, performed ritual murder, and most important, worshipped a demon called “Baphomet”. Taxil went on in 1897 to publically admit his lies while making merciless fun of everyone who had believed him. However, anti-Masonic authors continue to drag this bilge with great regularity and claim Masons worship Satan. Unfortunately, because of Taxil’s lies, Freemasons and the great horned demon Baphomet are forever intertwined. Freemasons as a whole dedicate themselves to educating and elevating themselves both morally and spiritually. A devotion to brotherly love, relief and truth would appear to be in conflict with a belief in Satan who is the father of lies! (John 8:44). Truth is that which is consistent with the mind, will, character, glory and being of God and is not of Satan. It is Satanic and unacceptable to shoot from the hip and slandering the good name of any person, Christian or otherwise, without being sure of your facts, making assumptions on things you have heard in this manner! Jesus says in Matthew 7 that you will recognize false prophets by their fruit. Freemasonry’s fruits are beyond reproach. In an age when the world has been torn asunder and still is being torn asunder by conflicts of race, religion and ideologies, Freemasonry stands as a witness to the fact that all honourable men can find their common humanity and share a common concern regardless of race and religion. I am quite sure that my own faith was not diminished, nor were my convictions altered by my membership of Freemasonry. Rather I have been enriched and rewarded beyond measure. I have not been untrue to my ordination vows as a Minister of Word and Service, but have embraced a ministry of service which stretches beyond the boundaries of my Church to the fraternity of Freemasonry.